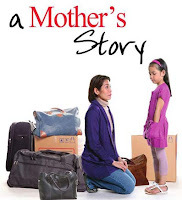 A Mother’s Story is a 2011 Filipino Drama Film. The movie is directed by John D. Lazatin. This is the first film produced by The Filipino Chanel and distributed by ABS-CBN International and Star Cinema. 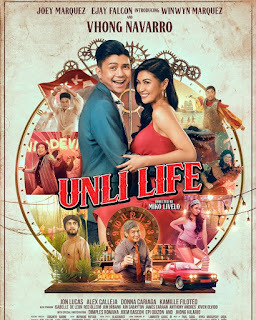 The Film had its premiere in Los Angeles, CA last November 6, 2011 and was released in the Philippines last January 8, 2011. A Mother’s Story is a movie that deals with OFWs go to the United States. It is about Medy (Pokwang) who became an illegal immigrant and her struggles as she achieves legal status. As a make up artist, she was given thee to accompany a concert star to the United State for a performance. She promised her family that she will return after a week. However, while in the USA, she stumbled upon a former classmate Helen (Beth Tamayo) who convinced her to stay for good in the land of milk and honey. She initially refused, but eventually gave in, when she got a call one night from her husband that they need a big amount of money to bring her youngest daughter to the hospital. America has not been the friendliest to herb and our story begins with her coming home to manila with nothing. Medy’s two kids King (Raver Cruz) and Queenie (Xyriel Manabat) are now 19 and 7. King struggles with the return of her mother. Shame, anger are the issues he has built with his mother. For the young Queenie, its getting to know the mother, who she thought would one day come out with a balikbayan box. And as for her husband, Medy discovers something she least expected. The movie’s casts includes Raver Cruz, Xyriel Manabat, Nonie Buencamino, Beth Tamayo, Daria Ramirez, Ana Capri, Jaime Fabrigas, Aaron Junatas, K Brosas. A Mother’s Story is currently showing on over 20 selected cities in the United States and is graded A by the Cinema Evaluation Board.